Texans in Congress largely sidestepped questions Tuesday regarding the firestorm unleashed hours over emails that show Donald Trump Jr. eagerly accepting overtures from the Russian government. Editor's note: This story has been updated with additional comment from U.S. representatives from Texas. WASHINGTON – Texans in Congress largely sidestepped questions Tuesday regarding the firestorm unleashed hours earlier when Donald Trump Jr., the son of the president, released emails showing he eagerly accepted overtures from the Russian government to help his father's presidential campaign a year ago. U.S. Sen. Ted Cruz, R-Texas, brushed off the controversy with a line he's repeated often: The question of Russian influence in the 2016 election doesn't register back home. He further deflected questions about President Trump's relationship with Russia by blaming former President Obama's foreign policy. These comments came as the news of Donald Trump, Jr. emails was breaking. U.S. Sen. John Cornyn, R-Texas, directed most of his public comments on Tuesday toward efforts to pass a health care overhaul bill, but he did suggest that Donald Trump Jr. will likely testify before the Senate Intelligence Committee, on which Cornyn serves. Similarly, House Republicans were reluctant to weigh in. "I think that the issues related to that fall squarely in the jurisdiction of the special counsel," said U.S. Rep. John Ratcliffe, R-Heath. "There's so much coming out, so fast, I'm going to wait to comment until I have all of the facts," said U.S. Rep. Blake Farenthold, R-Corpus Christi. Meanwhile, the lone Texas Democrat on the House Intelligence Committee freely used the word "collusion" to describe the relationship between Trump associates and Russian entities. "I want to make sure that Donald Trump Jr. comes and testifies in front of the House Intelligence Committee," said U.S. Rep. Joaquin Castro, D-San Antonio. "We need to understand the extent of collusion between members of the Trump family and the Trump campaign and the Russian government and Russian operatives." The younger Trump wrote on Twitter that he was posting his email conversations with a Russian lawyer in order to be "totally transparent," once he was informed that the New York Times had copies of the correspondence. The correspondence makes clear that a senior Russian government official was offering the Trump campaign dirt on Hillary Clinton. The president, for his part, issued a brief statement through his spokeswoman, Sarah Huckabee Sanders: "My son is a high quality person and I applaud his transparency." The magnitude of the Russia news eclipsed health care, which Republican leaders had expected would be the headline issue of the week. Senate Republicans have struggled mightily to pass a repeal of the Affordable Care Act, Obama's 2010 health care law, only to see their first stab at the issue fall apart in recent weeks. GOP senators intend to release a new bill on Thursday. 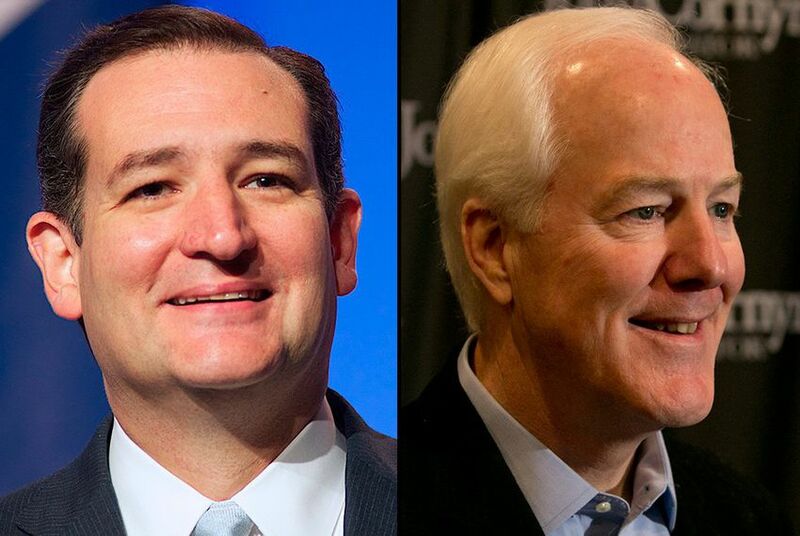 That bill will come in two forms: one with a key amendment from Cruz and one without it. The bill will then head to the Congressional Budget Office, a non-partisan arm of Congress, for an economic analysis. Cruz has pushed in recent weeks to allow insurers to sell plans that do not comply with Obamacare coverage requirements in a state as long as they were also selling at least one plan in the state that was Obamacare-compliant. Also Tuesday, Senate Majority Leader Mitch McConnell announced he would keep the chamber in session into early August, which is typically the beginning of a traditional five-week recess period.